4. Non-slip grip, easy to put & take off. individual special, it is recommended to measure before buying. 8. 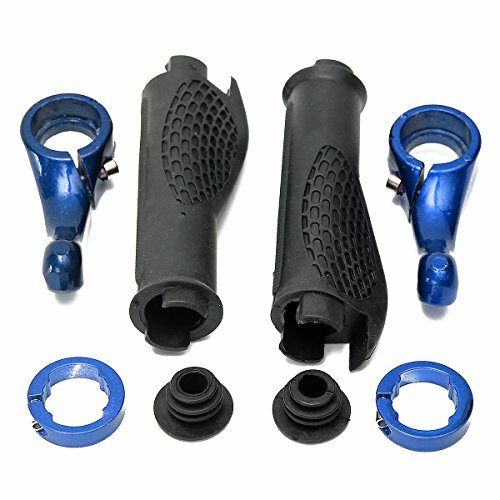 With TPR rubber grip, you will feel good after long time riding. 9. Located in the palm of your hand to increase its width, it can take effect of reducing the vibration in the riding process. 10. Made of high quality rubber material, feel comfortable, superior performance. 12. Corrects your hand position so your median nerve isn't absorbing unnecessary pressure (a leading cause of carpal tunnel syndrome). color of the item. We guarantee the style is the same as shown in the picture. If you have any questions about this product by Kenthia, contact us by completing and submitting the form below. If you are looking for a specif part number, please include it with your message.